I think I am in love with Sugar Free Flourless Chocolate Cake. 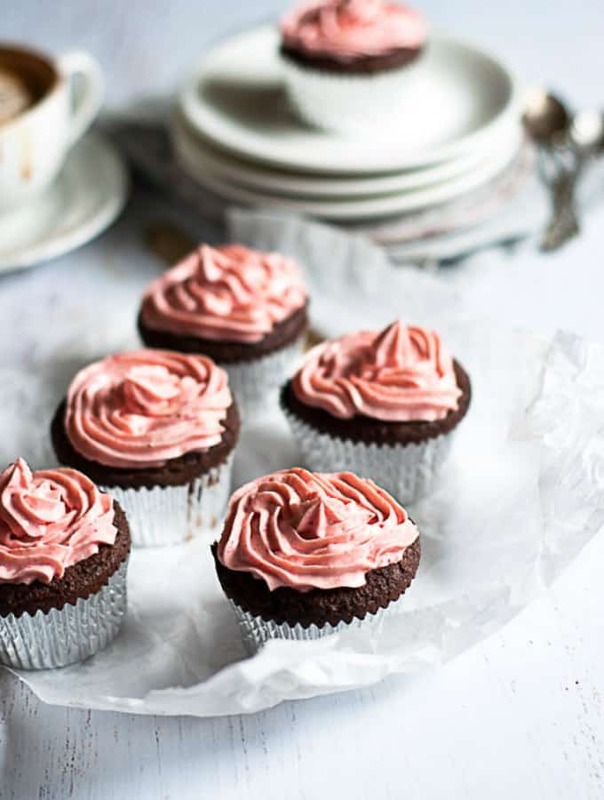 These little mini versions are incredibly light, rich and delicate, and that pink frosting is so addictive even though it is also sugar free. Did I mention these are also low carb? These little treats were dessert for my husband and I last week and we were very sad when they were all gone. 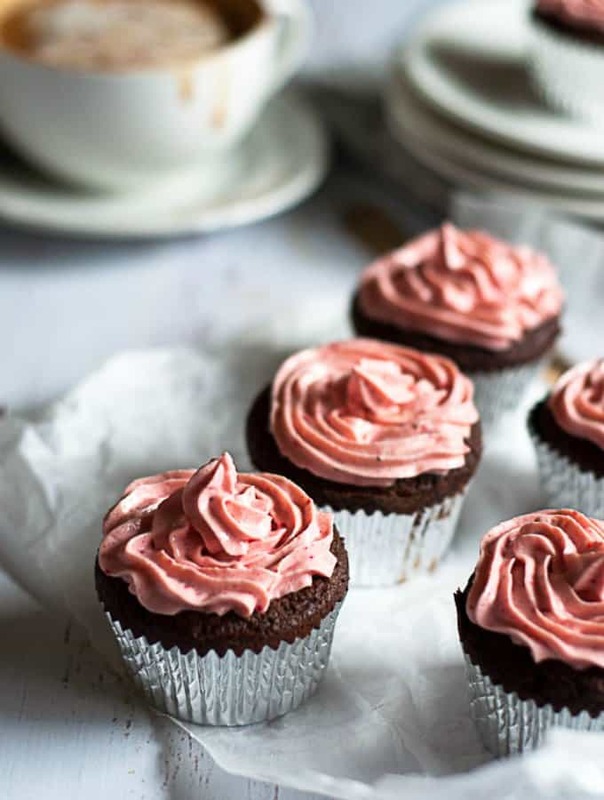 This recipe makes 6 regular sized cupcakes, but you could easily double it to make a dozen. 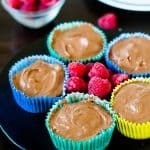 Perfect if you wanted to freeze half, or you were having people over and needed a healthy dessert to impress them with. I had been experimenting with making a flourless chocolate cake for a while using almond meal but this one (my fourth attempt) was a winner. I love these because they are a slightly different texture than what you would normally get from a cake made with regular wheat flour. It’s a little finer, yet somehow seems to have more texture and a different mouthfeel altogether. 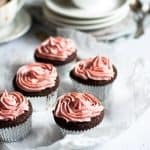 The good thing is, because these sugar free chocolate cakes use almond meal, it makes them perfect to eat if you have issues with wheat, which I have to confess, sometimes I do. These little gems are the perfect remedy for me to have my cake and eat it to. 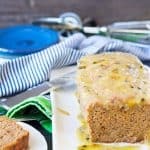 Also a treat for those with sensitive tummies is my Wheat Free Sugar Free Banana Bread. This sugar free flourless chocolate cake also uses my trusty combination of cream of tartar and bicarb soda which I swear by for baking. I used to use baking powder, until I discovered this combo and I’ve never looked back. Another thing I have been noticing lately is the increasing visibility of freeze dried fruits. In recipes and in our supermarkets. I’ve used them a couple of times before, but this was my first time using them in frosting and I will definitely be using them again as it adds an intense flavour pop. Different types of freeze dried fruits are now available in mainstream supermarkets in Australia (Woolworths and Coles) and I have been stocking up. I have strawberry, raspberry, apple, and mango. Can’t wait to use them some more. Another first for me in this recipe was using a piping bag. I’ve actually had them in my kitchen draw for about a year and been going to use them, but never got around to it. I think I was a bit scared of them, especially since there are always such amazing pictures out there of cakes with perfectly formed frosting. But… I have to say I was giggling with excitement as I was piping the frosting out. It was just so much fun. It actually reminded me of when I used to work in an ice cream shop when I was in high school – the kind with the Mcdonalds soft serve ice creams. I was taken back in time to that place where I was dishing out dozens of ice creams to mums and kids on hot sunny days in the park. What I have learnt is that piping frosting is an easy way to bring out the inner child. This child anyway. Well, I have 4 more piping bags left. You know what that means. 4 more cakes with piped frosting coming your way! 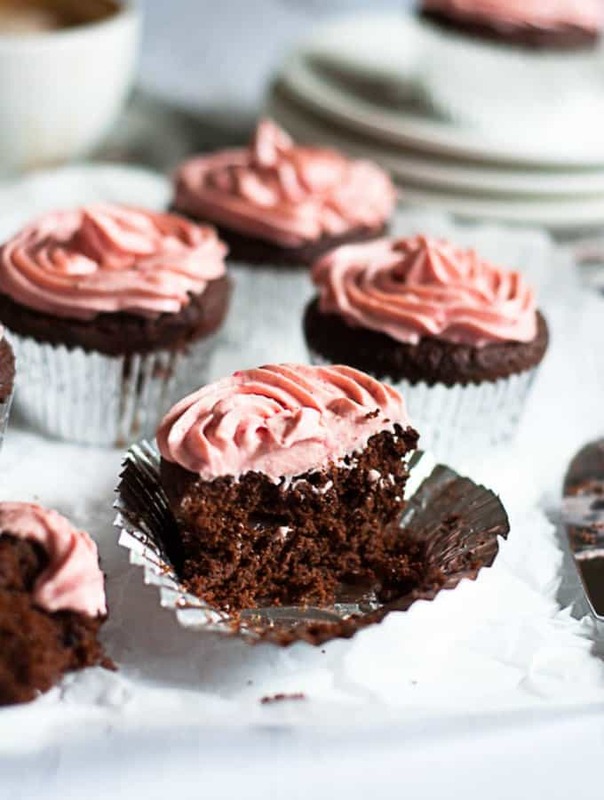 Deliciously light, these sugar free flourless chocolate cupcakes with creamy strawberry frosting are perfect for after dinner dessert! Bake for 20 minutes at 180 degrees [320 fahrenheit]. Then cool on a wire rack before adding the frosting. 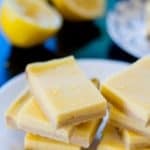 Making the frosting: Make sure the cakes are cook before icing. Ensure the cream cheese is close to room temperature. 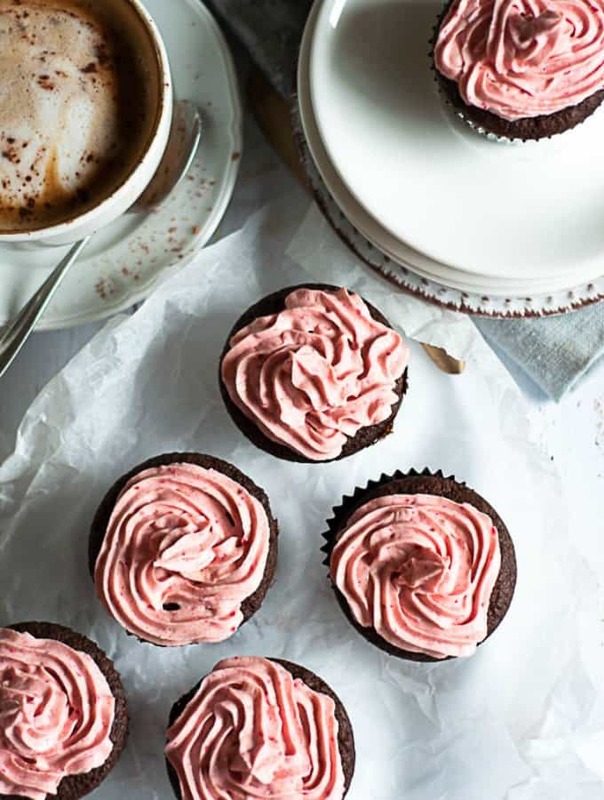 In a swirling motion, add the frosting to the cupcakes one by one. Store the cupcakes in the fridge once done. They will keep for 3 to 4 days in an air tight container. Eat and enjoy straight from the fridge! I purchased my freeze dried strawberries from Woolworths in Australia in the aisle with the tinned fruits. If you can’t get these, you could use fresh strawberries or extra jelly crystals. I wouldn’t use frozen berries as they will make the frosting too runny.